JD Restaurant Joomla Template is the ultra-responsive Joomla template specially developed for café and restaurant websites. 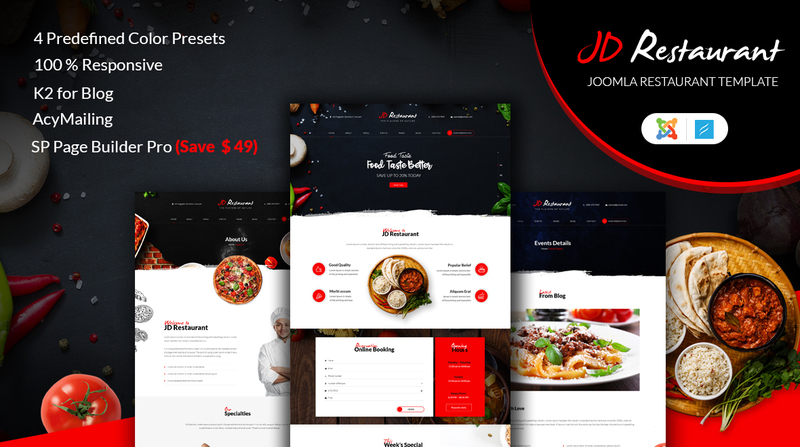 So if you own a café, restaurant, food stall, coffee shop or anything related to foods and drinks, this Joomla restaurant template best fit for your website. It's clean and fancy design add more value to restaurant website. 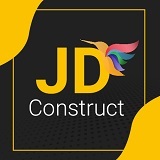 JD Restaurant is built with drag and drop SP page builder pro (You are saving $49), which makes it easy to create pages by just drag and drop elements.